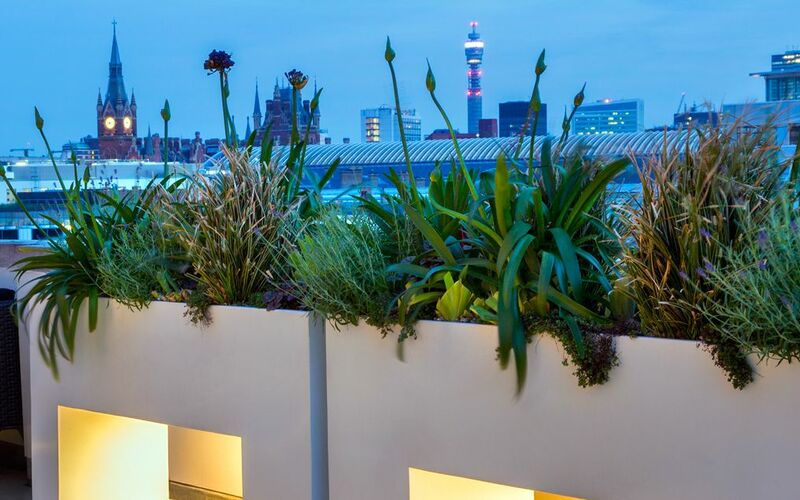 Similarly to designing roof terrace projects, the art of photographing the results can be somewhat tricky to master, with windy conditions, perpetual skyglow and complex perspectives forming prevailing urban factors. 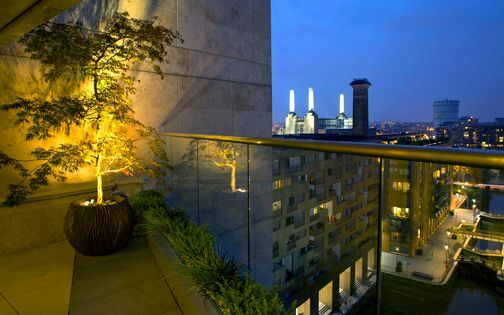 Recceing for a roof terrace photo shoot entails considerable preparation, since coordinating the necessary maintenance, optimising suitable decoration and planning for perfect weather beforehand can be elaborate tasks indeed. 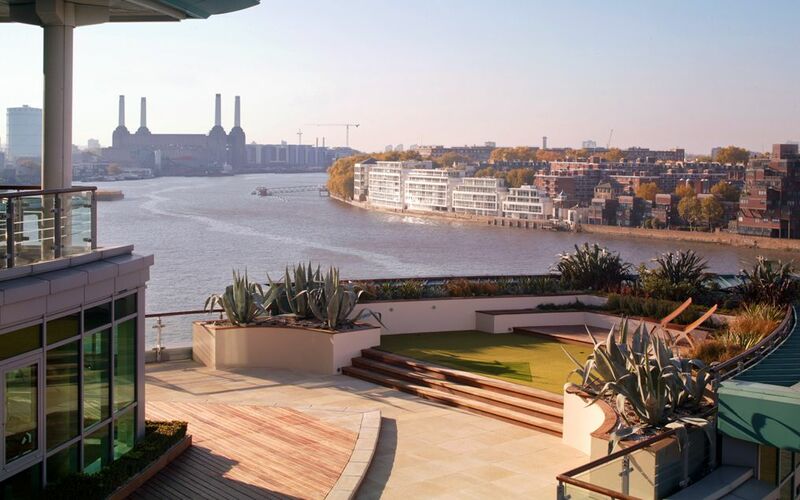 A roof terrace backdrop is a predominant factor too in rooftop project photography, and while London's skyline evolves at extraordinary pace, the roof terrace images we continually produce convey an ever-changing architectural fabric, emerging city landmarks and absorbingly metamorphic panoramas. 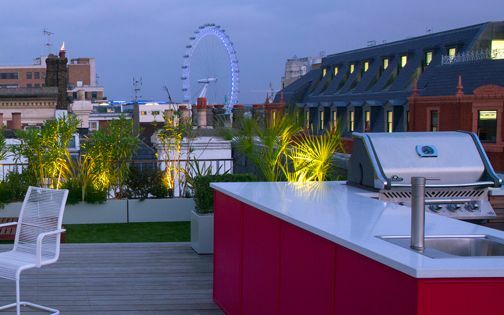 Modern penthouse roof terrace in Central London. Photographer: Clive Nichols. 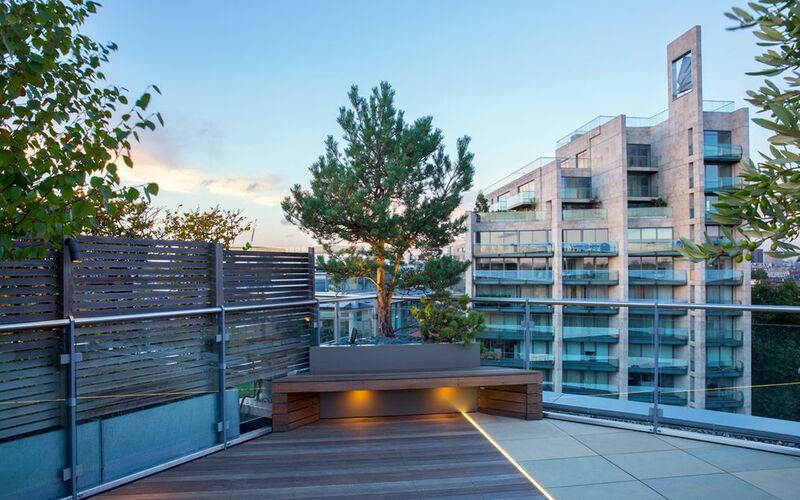 Roof terrace: evergreen hedging and topiary, custom-designed planters and vases, Ipe decking, flamed granite paving, cladding, sculpture. Images: Homes & Gardens. 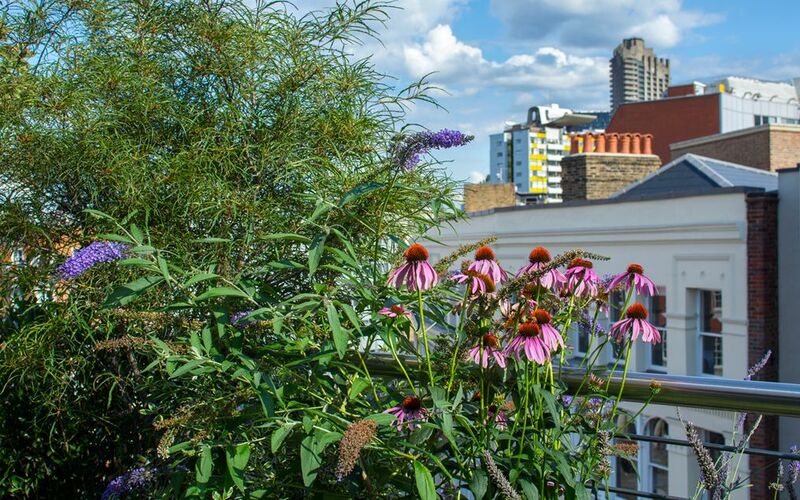 Small rooftop garden in South West London. Photographer: Marianne Majerus. 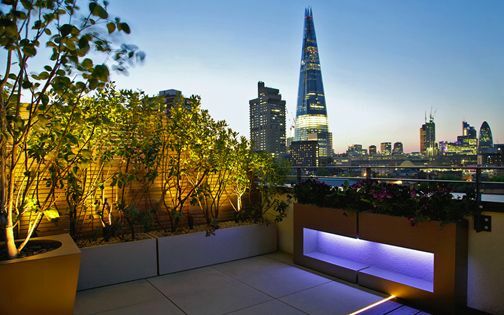 Roof terrace: architectural trees, hedging, sandstone and granite paving, raised beds, fitted troughs, irrigation, LED lighting. Images: Livingetc, Elle Decoration. 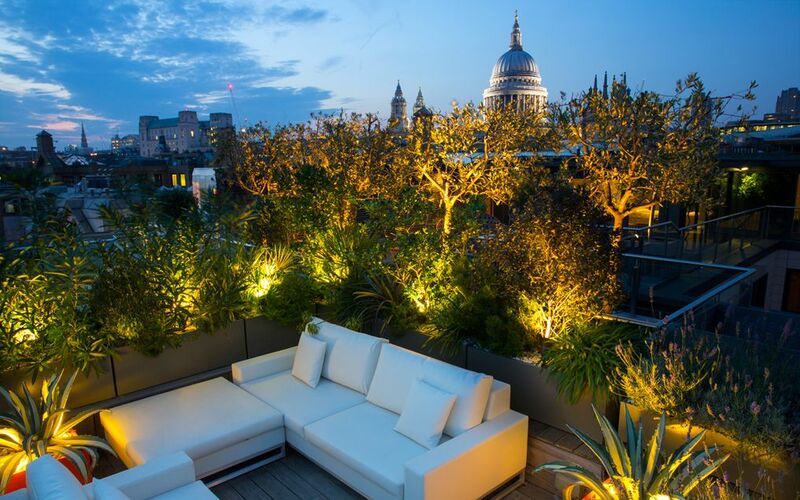 Contemporary roof garden in Central London. Photographer: Marianne Majerus. 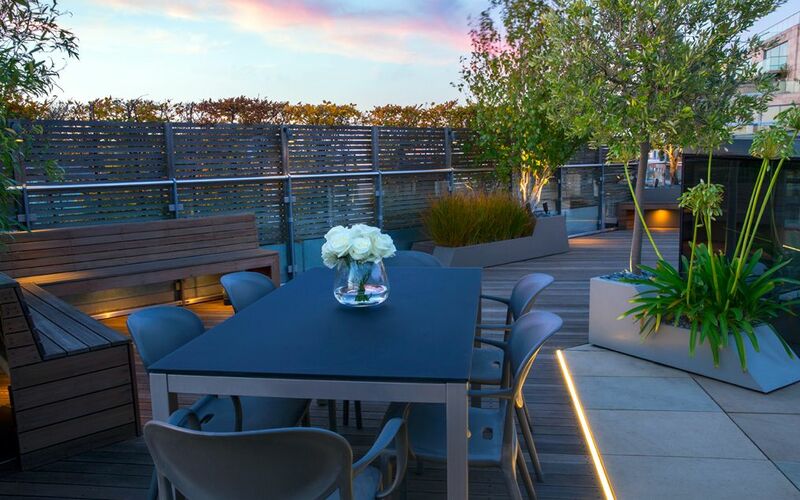 Roof terrace: coastal planting, porcelain tiles, multilevel hardwood deck, hedging, bespoke planters, outdoor kitchen, synthetic grass. 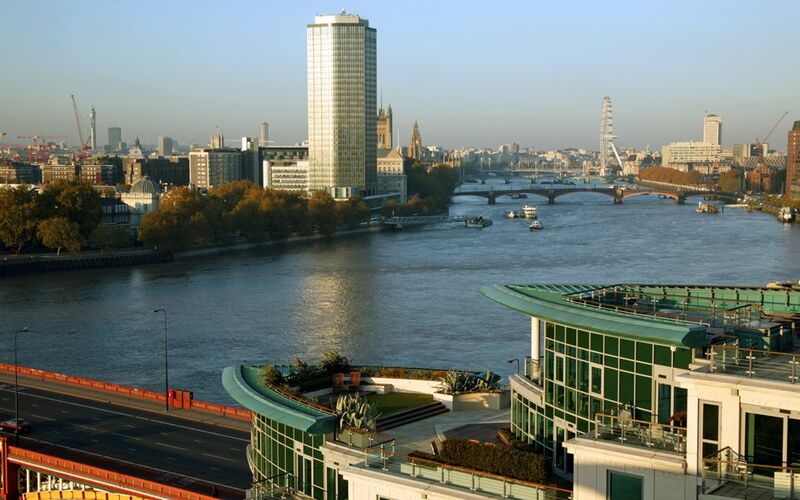 Images: Great Gardens of London. 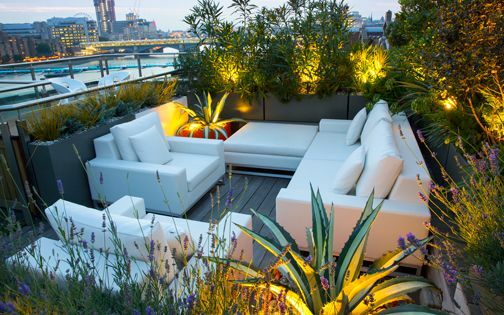 Riverside roof terrace in Central London. Photographer: Marianne Majerus. 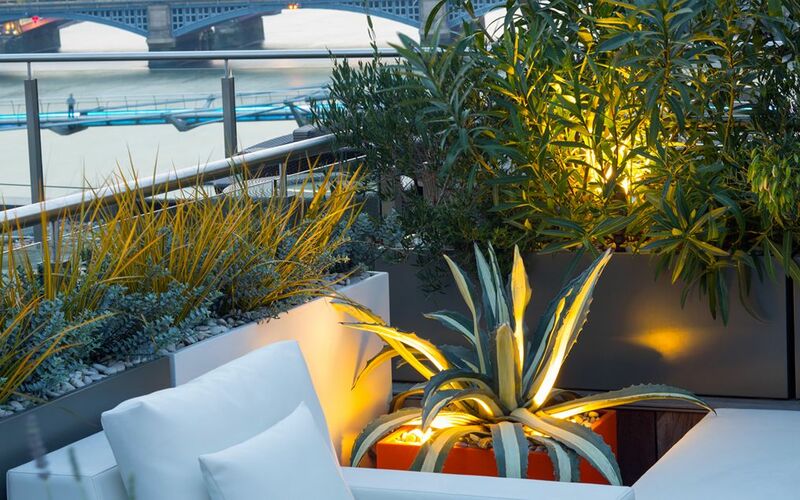 Roof terrace: Mediterranean planting, Ipe deck, artificial grass, customised planters, seating, lighting, automatic irrigation. 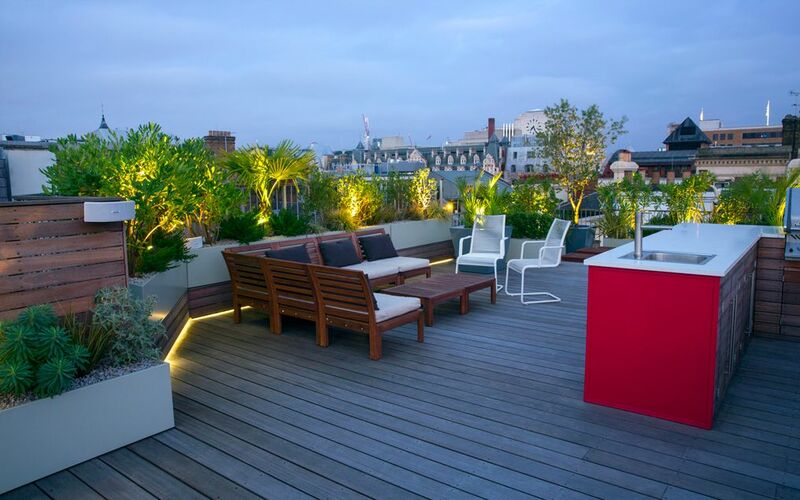 Images: Homes & Gardens. 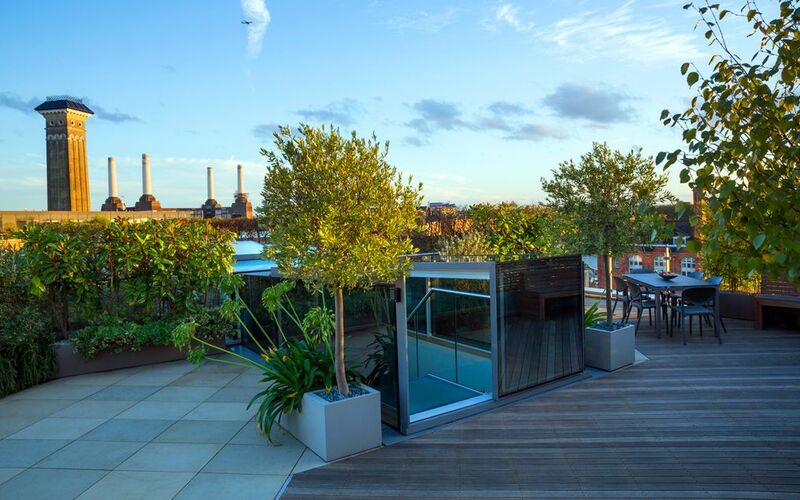 Large roof terrace in South West London. Photographer: Marianne Majerus. 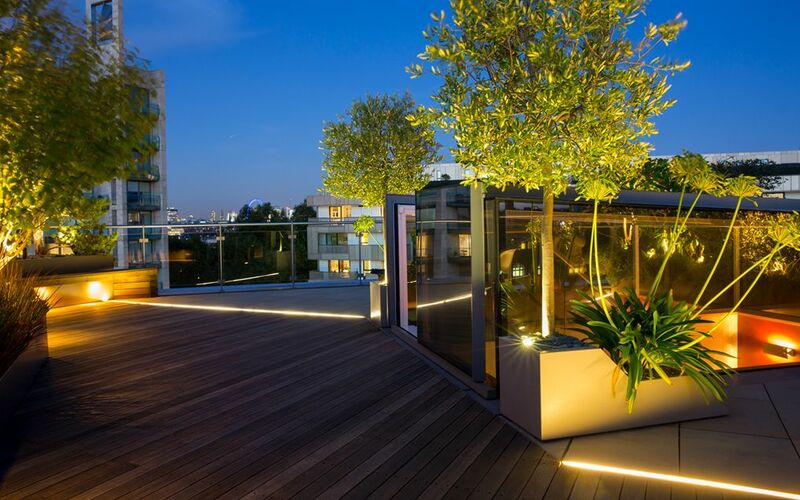 Roof terrace: architectural trees, hedging, herb garden, built-in seating, bespoke troughs, LED strip lighting, hardwood deck, buff sandstone, surround sound system. 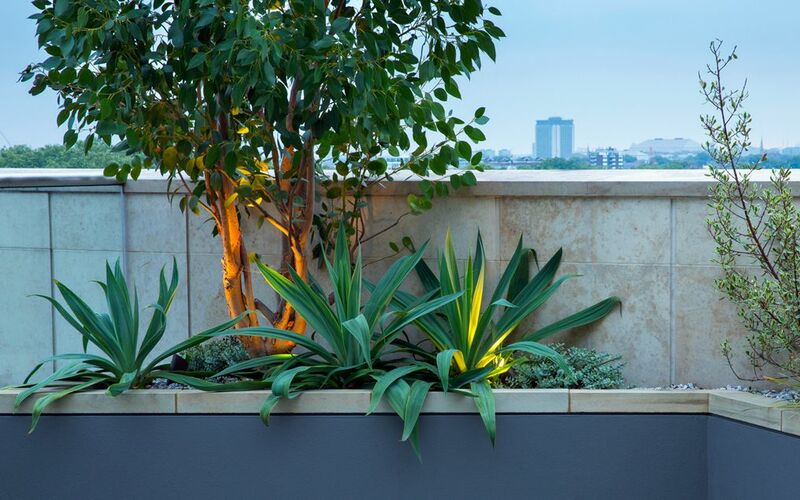 Images: Garden Design: A Book of Ideas. Wildlife rooftop in Central London. Photographer: Marianne Majerus. 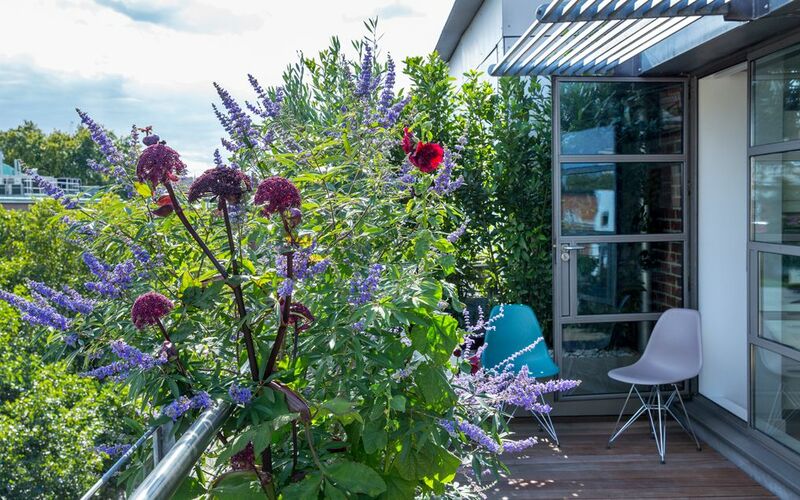 Roof terrace: wildlife friendly planting, native trees, herb, alpine flower and kitchen gardens, deck, sandstone, synthetic grass, hedging. Images: Evening Standard. 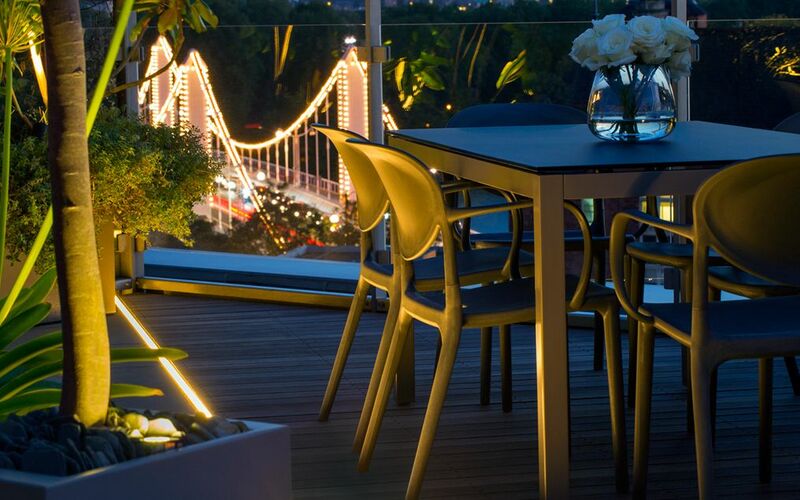 Wharf penthouse roof terrace in Central London. Photographer: Marianne Majerus. 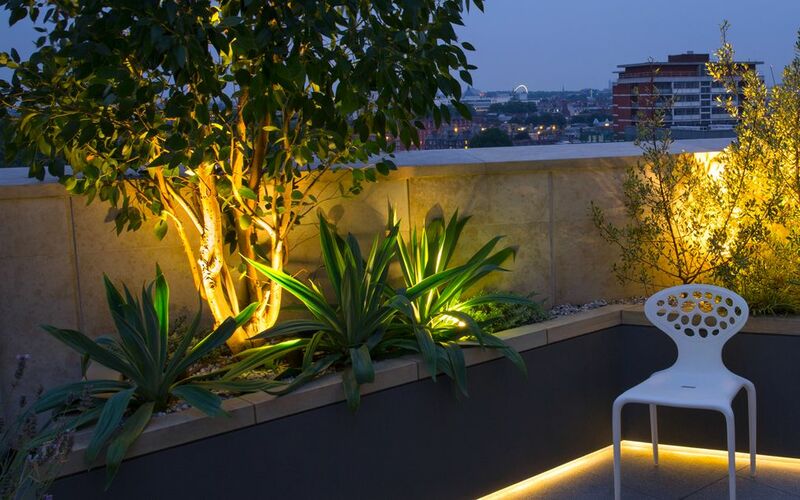 Roof terrace: sandstone, hardwood, LED lighting, bespoke geometric planters, architectural trees, grasses, herbs, curved vases, irrigation. 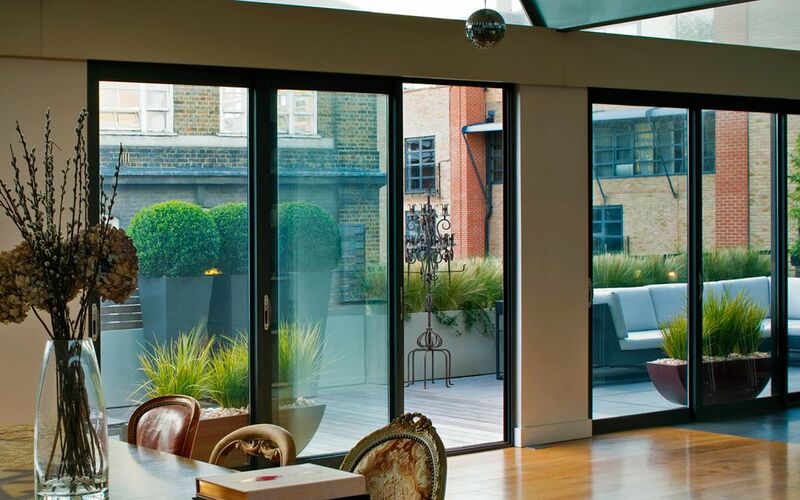 Images: Better Homes & Gardens. 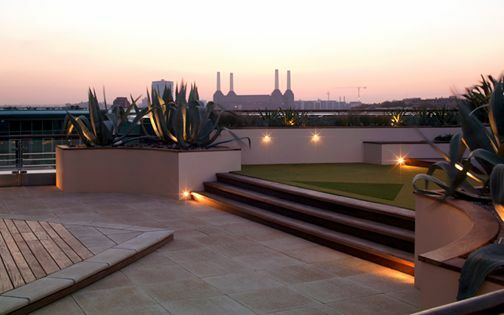 Large roof garden in South London. 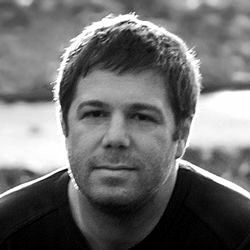 Photographer: Timothy Soar. 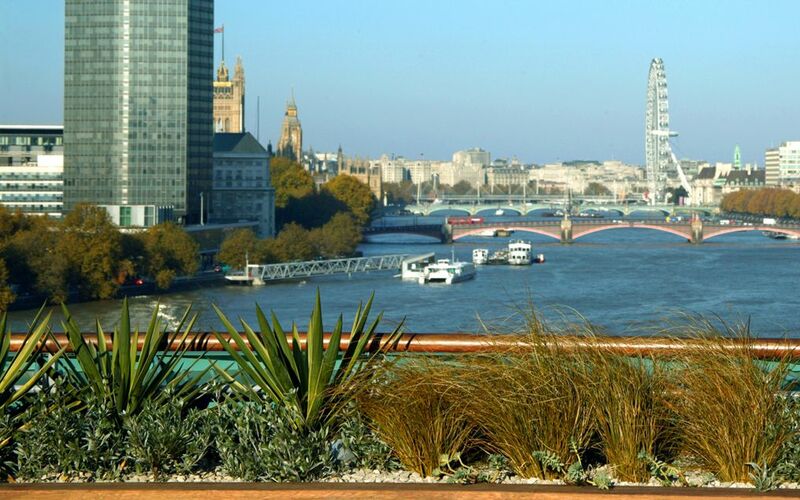 Roof terrace: Iroko deck, precast paving, putting green, curved raised beds, succulent and coastal planting, custom-built seating, herb garden. Images: Grand Designs. 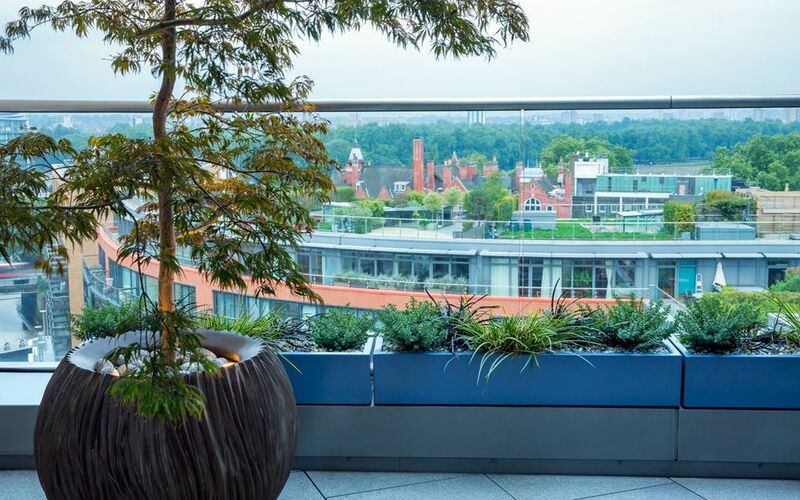 When a brand-new file transfer of images arrives after a roof terrace photo shoot, accompanied by sheer anticipation and excitement, it forms a truly unmatched moment – second only to the unravelling of a new book with some of that session's images prominently featured. 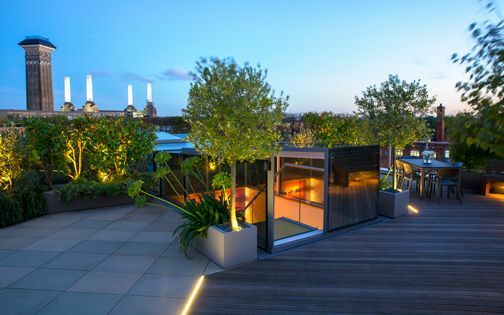 While London's aerial topography is in constant flux, the roof terrace images which depict this picturesque, eclectic skyline epitomise not only the mastery of their image makers and the skilfulness of their landscape and garden designers, but also the cultural dichotomies, architectonic shift and terrace transformations which define, steer and reshape London's rooftop gardens.